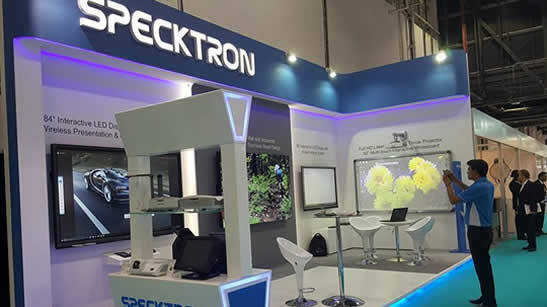 Specktron exhibited at the Seamless 2019 from 10 - 11 April at Dubai World Trade Centre On display was our extensive range of products which include eHub HDMI Wireless Display, Video Walls, Digital Signages & Kiosks, Interactive LED Displays, Multimedia/Laser Projectors, Scanners, Interactive Whiteboards and Accessories for Schools, Universities & Training Centers. 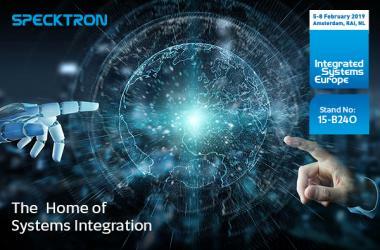 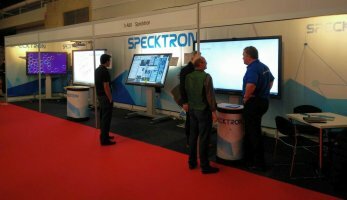 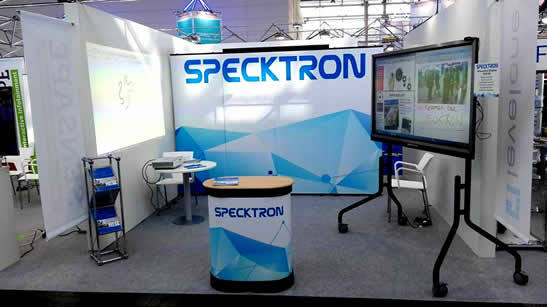 Specktron exhibited at the Integrated Systems Europe (ISE) 2019 from 05 Feb - 08 Feb at Amsterdam, RAI, NL On display was our extensive range of products which include eHub HDMI Wireless Display, Video Walls, Digital Signages & Kiosks, Interactive LED Displays, Multimedia/Laser Projectors, Scanners, Interactive Whiteboards and Accessories for Schools, Universities & Training Centers. 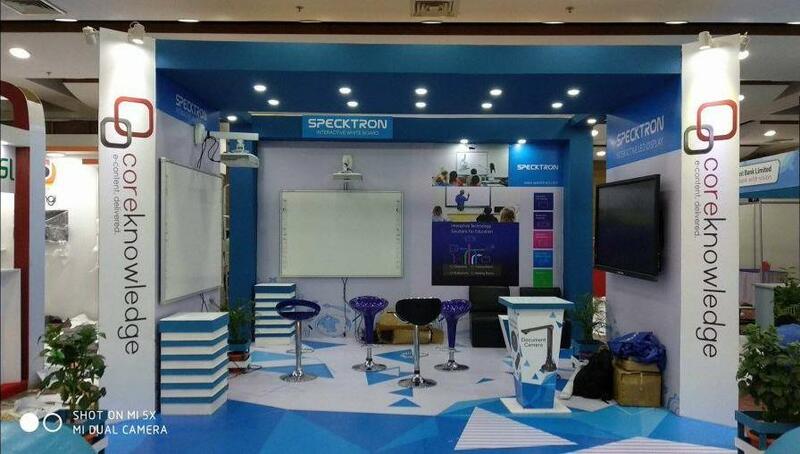 Specktron exhibited at the Global Education Supplies and Solutions (GESS) show from 28 Nov - 1st Dec at the Citam Woodley, Kenya. 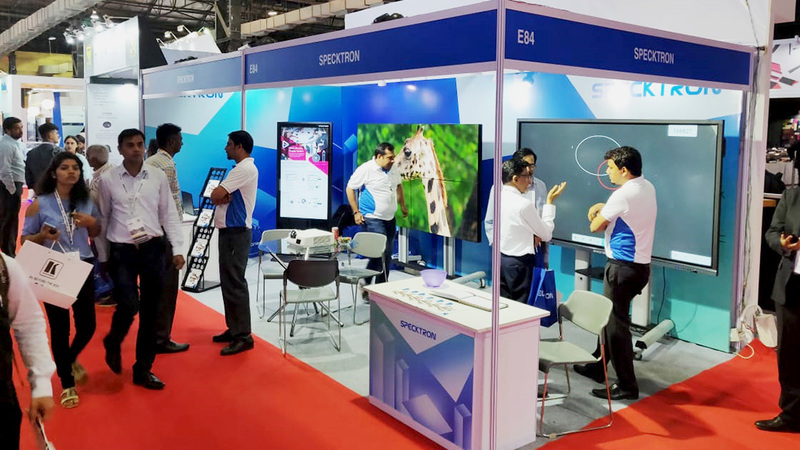 On display was our extensive range of products which include eHub HDMI Wireless Display, Video Walls, Digital Signages & Kiosks, Interactive LED Displays, Multimedia/Laser Projectors, Scanners, Interactive Whiteboards and Accessories for Schools, Universities & Training Centers. 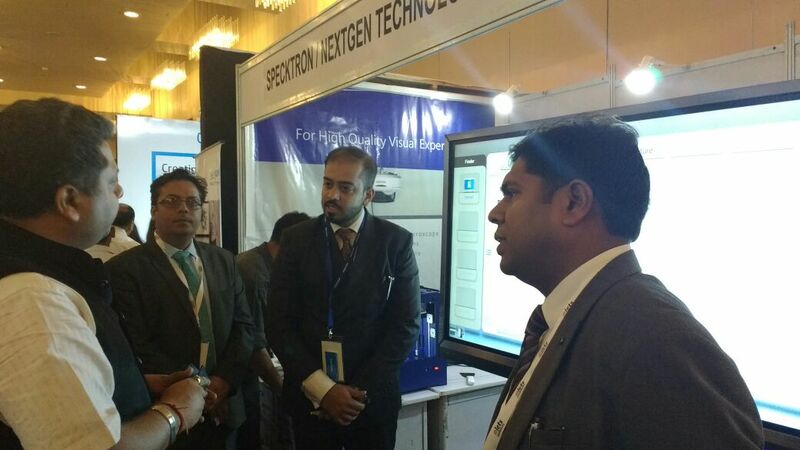 Specktron participated with the India Distributor NextGen Technologies at the 7th School Leadership Summit Chandigarh held on 28th April 2018. Products on display were Interactive LED Displays, Interactive Whiteboards and Projectors. 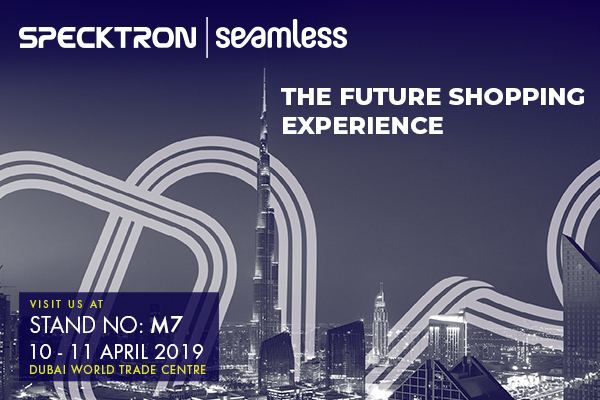 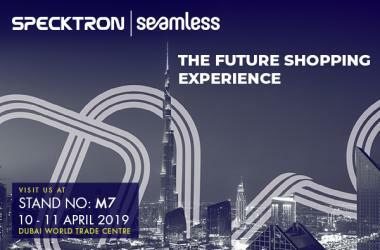 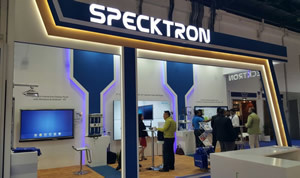 Specktron exhibited at the Global Education Supplies and Solutions (GESS) show from 27th Feb - 1st Mar at the Dubai World Trade Centre. On display was our extensive range of products which include eHub HDMI Wireless Display, Video Walls, Digital Signages & Kiosks, Interactive LED Displays, Multimedia/Laser Projectors, Scanners, Interactive Whiteboards and Accessories for Schools, Universities & Training Centers. 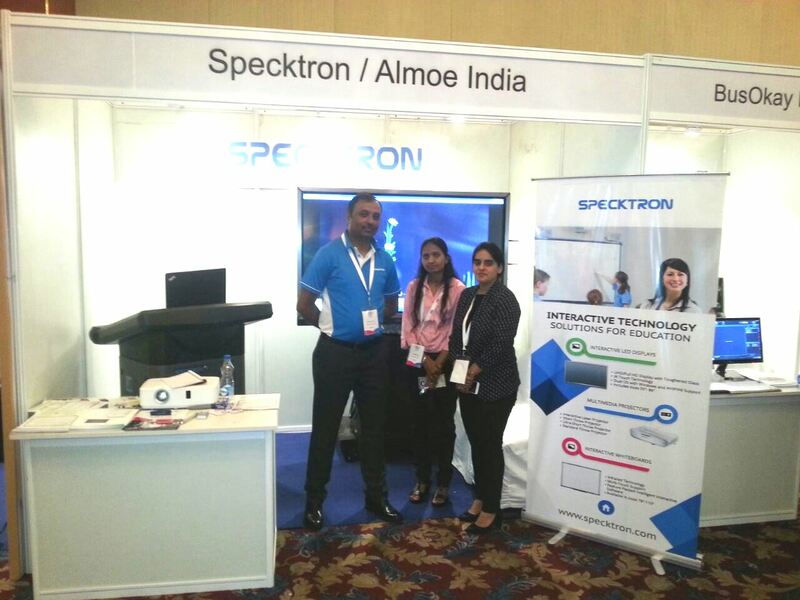 Specktron participated with the distributor Almoe India at School Leadership Summit at Eros Hotel, Nehru Place, New Delhi on 24th February 2018. 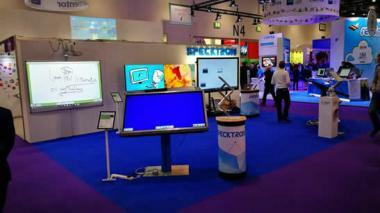 Products on display were Interactive LED Displays and Projectors. 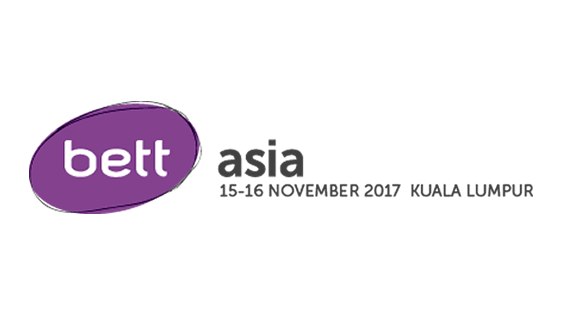 SPECKTRON showcased the latest interactive learning solutions for the education sector at BETT ASIA Stand # 70, Kuala Lumpur from 15 - 16 Nov, 2017 . 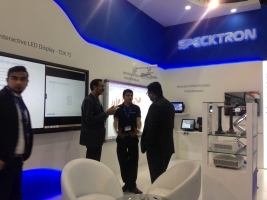 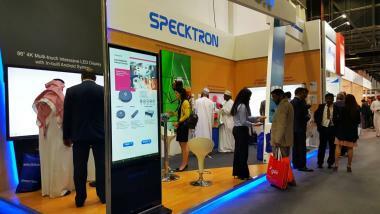 This GITEX, SPECKTRON showcased its flagship products and solutions for all conceivable training and educational environments. SPECKTRON introduced its new HDMI Wireless Display System and Digital Signage range. 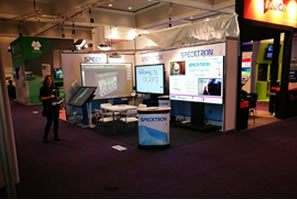 Also on display was an array of Interactive Learning solutions. 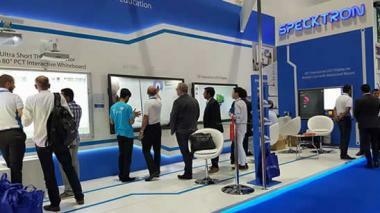 We're pleased to note an enthusiastic visitor response. 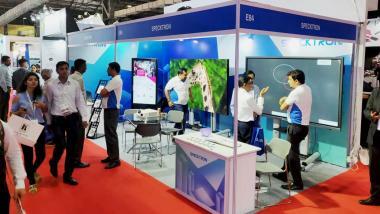 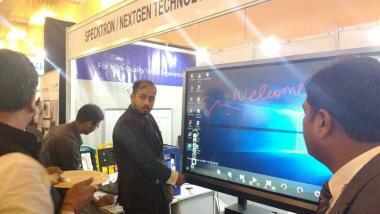 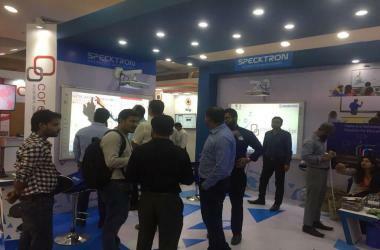 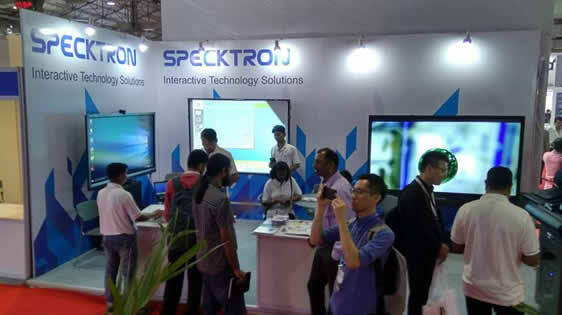 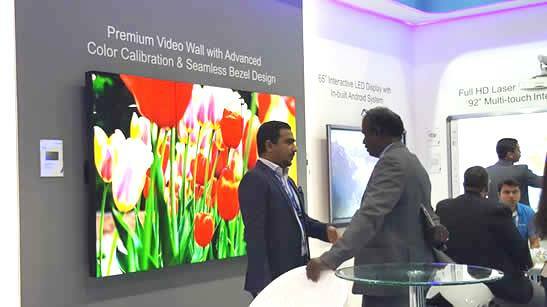 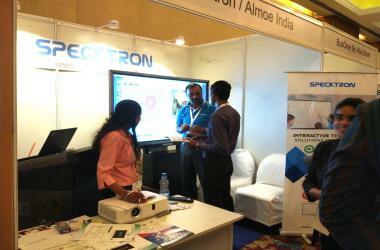 Specktron exhibited at InfoComm India 2017 from 26th - 28th September 2017 at Stand #D78, Bombay Exhibition Centre, Mumbai where they exhibited their extensive range of products which include Smart classroom solutions, Interactive LED displays, Interactive Whiteboards & Multimedia Projectors for Schools, Universities & Training Centers. 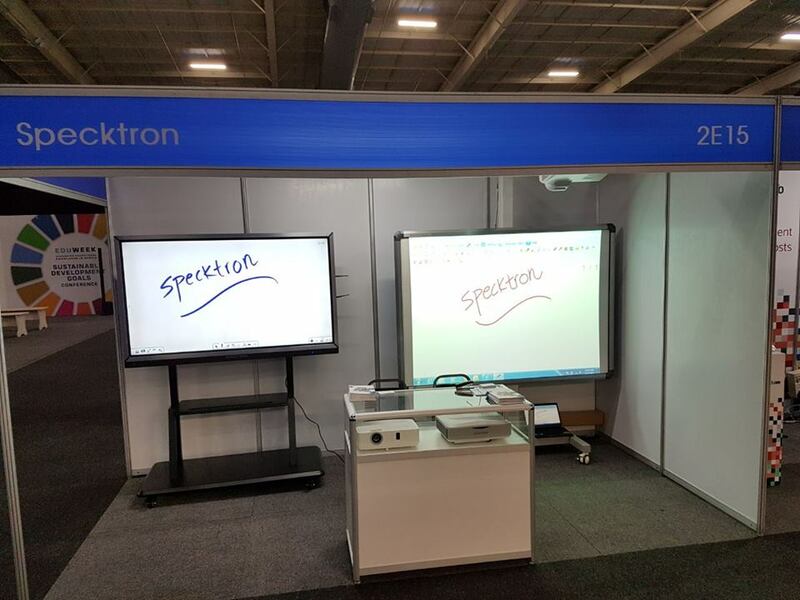 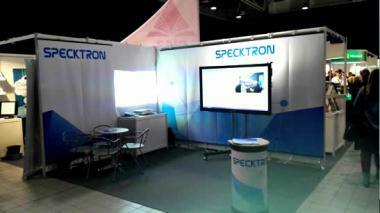 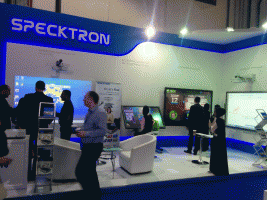 Specktron exhibited at EDUWEEK AFRICA 2017 from 12th - 13th July 2017 at Stand # 2E15, Hall 2, Gallagher Convention Centre, Johannesburg where they exhibited their extensive range of products which include Multimedia Projectors, Interactive Whiteboards and Interactive LED Displays for Schools, Universities & Training Centers. 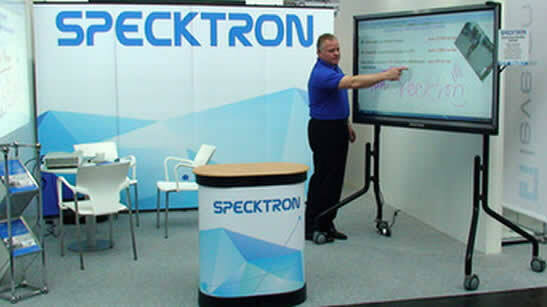 Specktron exhibited at the Global Education Supplies and Solutions (GESS) show from March 14th- 16th at the Dubai World Trade Centre where they exhibited their extensive range of products which include Video Walls, Interactive LED Displays, Multimedia/Laser Projectors, Scanners, Interactive Whiteboards and Accessories for Schools, Universities & Training Centers. An eventful week for our team in UK at the Bett Show at ExCeL London (Stand # B208) where we showed off the latest SPECKTRON 0.9 mm bezel Video Wall as well as flagship ICT solutions to visitors from Education sector. This GITEX, SPECKTRON showcased its flagship products and solutions for all conceivable training and educational environments. 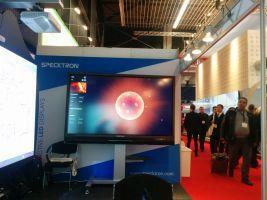 SPECKTRON introduced its revolutionary 1.8 mm bezel video wall for retail environments. We're pleased to note an enthusiastic visitor response. 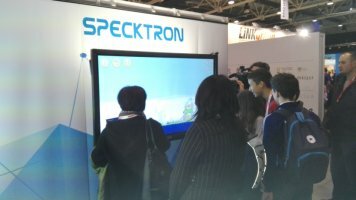 Visitors have a play with SPECKTRON Interactive LED Panel at the NEW TECHNOLOGY IN EDUCATION Show in Belgrade on 26 & 27 February. 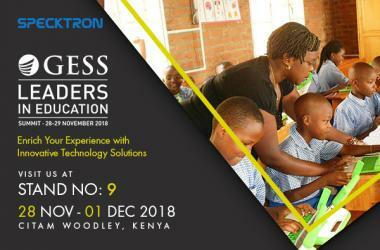 Organised by the British Council and the UK Embassy. 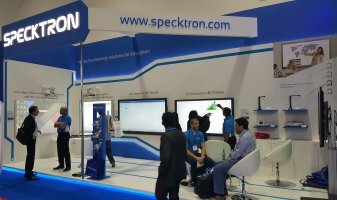 Making determined leaps internationally, SPECKTRON was next seen this year at the Integrated Systems Europe exhibition for AV professionals. We presented our flagship Interactive Whiteboards, Interactive LED Displays and Interactive Laser Projectors. 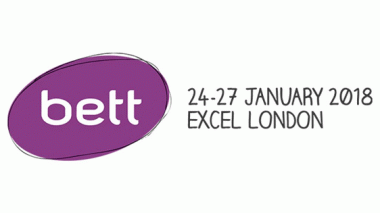 Can't wait to be there next year! SPECKTRON had four eventful days at the recently concluded BETT show at Excel London from 20-23 January. 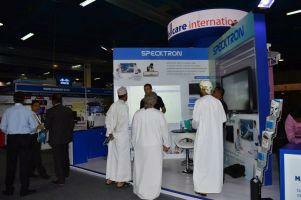 We are pleased at the enthusiastic turnout and thank all who came by to our stand. 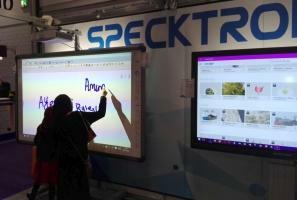 This BETT, SPECKTRON updated heads from learning institutions on the latest addition to its interactive LED display range, as well as exhibited its standard Interactive Whiteboards and Interactive Laser Projectors. 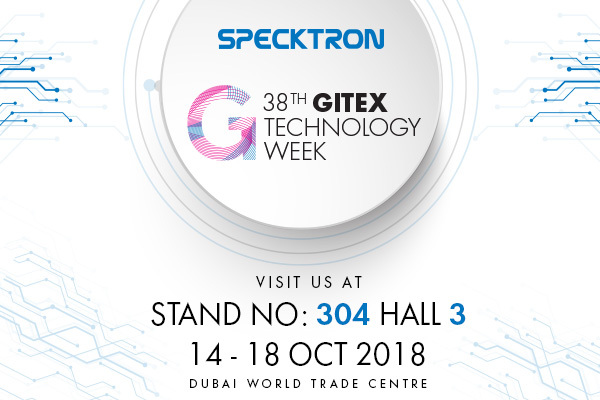 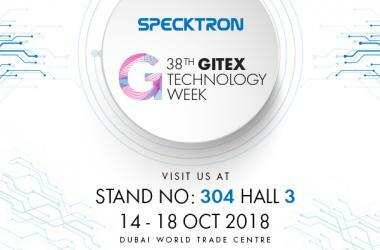 This GITEX, SPECKTRON showcased its flagship products and solutions for all conceivable training and educational environments, and also announced entry into new markets. 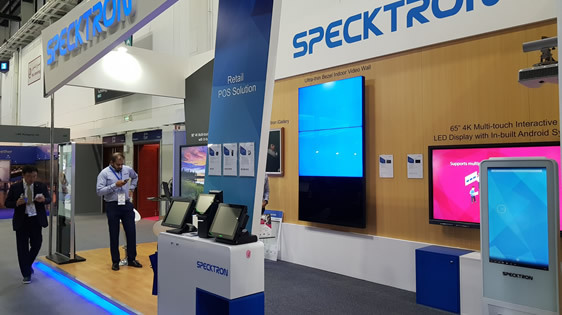 SPECKTRON introduced an array of flexible and high performing Point of Sale solutions for retail environments as well as a Smart Mirror solution for hotels and residences. 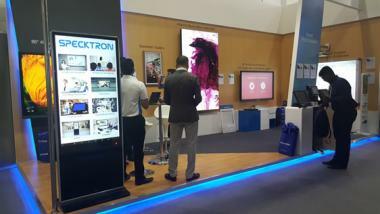 We're pleased to note an enthusiastic visitor response. 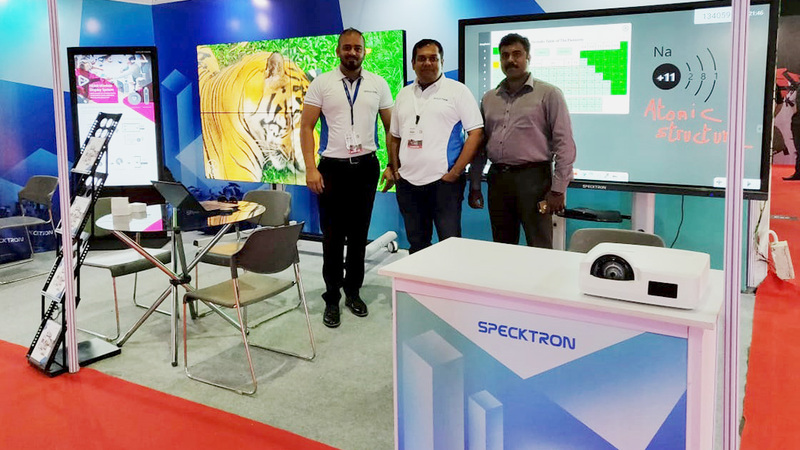 SPECKTRON presented its latest Laser Display Projectors, Interactive Whiteboards, Interactive LEDs and Ultra Short Throw Projectors at the COMEX Show in Oman from 27 April to 1 May 2015. The show, held at Oman International Exhibition Center, caters to the IT, Telecom and Technology sectors and proved to be a great platform to demonstrate Specktron's versatility in providing audio visual technology solutions for a multitude of environments. 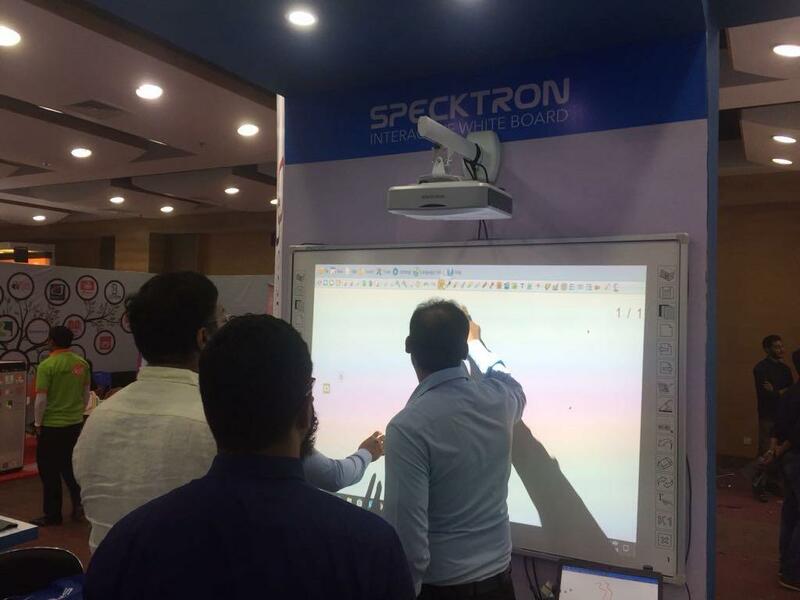 Specktron showcased the World's first interactive laser projector along with other interactive products at GESS 2015 (Stand # D2) showing how innovative & leading audio visual products can be used at various educational environments such as classrooms, lecture halls & presentation rooms. 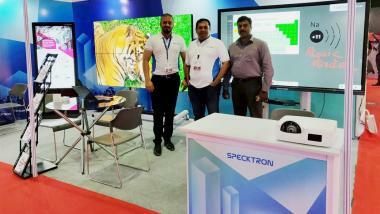 SPECKTRON introduces world’s first true LASER interactive ultra-short throw projector series at the ISE 2015.